"Pluck Out the Heart of My Mystery"
On Still Star-Crossed Season 1 Episode 4, Lord Montague's sister arrives, while Rosaline and Benvolio work to find who has pitted the familes against one other. 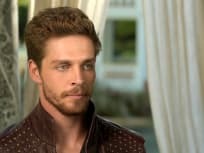 On Still Star-Crossed Season 1 Episode 3, In an attempt to convince the citizens of Verona that Benvolio and Rosaline are madly in love, Prince Escalus suggests a public betrothal ceremony. Meanwhile, Livia bonds with Count Paris, and a larger conspiracy to keep the Montagues and Capulets feuding threatens Escalus’ plans for peace. On Still Star-Crossed Season 1 Episode 2, Lady Capulet wants to find who influenced Juliet, while Rosaline and Benvolio must marry one another to restore peace. 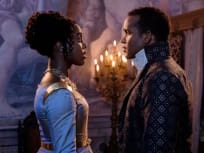 On Still Star-Crossed Season 1 Episode 1, in the wake of Romeo and Juliet’s tragic deaths, the Montague and Capulet rivalry escalates. A new royal takes the throne in Verona and struggles to determine what is best for his city, which is at the epicenter of mayhem.